Unemployment rate drops to 7.8%! After listening to Romney accusing the President of not being able to get the unemployment rate below 8.1%, today the newest rate report was released. At 7.8% it’s lowest level since January 2009. Let’s hear it for the President as the rate came down and jobs, even though just a little (114000 jobs in September), moved up. Meanwhile, what has Romney done to support his country in helping promote unemployment activity? Why, nothing. Nothing at all. 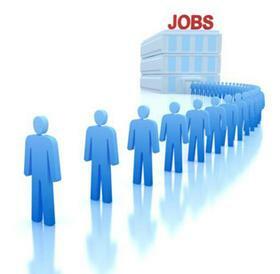 Comments Off on Unemployment rate drops to 7.8%! Well, the numbers have moved, for the most part in Romney’s favor. It’s amazing what an evening of lies can bring you. The question has been raised, however, did Romney cheat on the debate. No pre-written notes were allowed at the presidential debate but a video clip shows Mitt Romney pulling something from his pocket at the start of the debate. Looks like Romney blows his nose in paper. Romney says he’ll eliminate PBS to cut the debt… Not a good move! 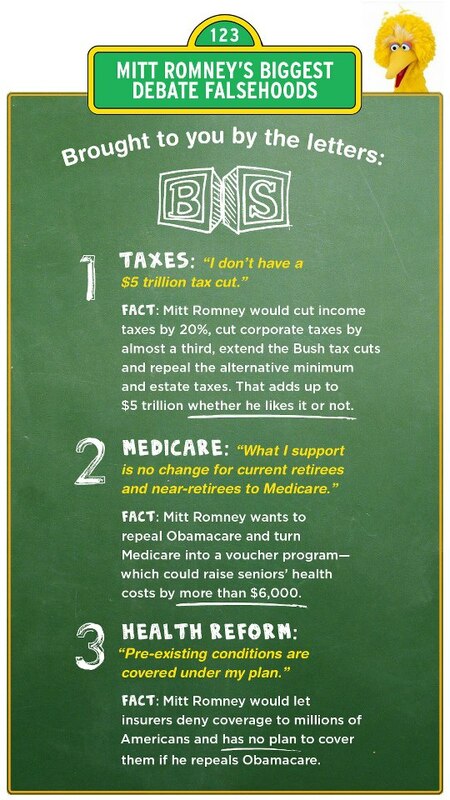 Comments Off on Romney says he’ll eliminate PBS to cut the debt… Not a good move!